Purdy Elementary principal Julie Dalton and Purdy Elementary counselor Gary Jurgensen announced the Character Education medalists for December. Each month, students in kindergarten through sixth grade are introduced to a different character trait. At the end of the month, each classroom teacher nominates one student who best represents the trait to receive a Character Education medal. In December, students focused on generosity. Medalists were treated to a trip to Adelita’s Mexican Restaurant where they enjoyed lunch with Mrs. Dalton and Mr. Jurgensen. Generosity medalists include kindergartners Makenzie Horn, Lilly Franklin and Kinley Schlessman; first graders Caidence Barber-Spruce, Addison Arivett and Alison Logan; second graders Kamilla Rodriguez and Dalton Stanford; third graders Logan Reed, Brianna Garcia and Hunter Wormington; fourth graders Shayla Whittington, Lucy Lee and Isabella Chapman; fifth graders Samuel Fritz, Jasmin Salas and Trevor Schronk; and sixth graders Austin Greenway and Jaraldie Rodriguez. 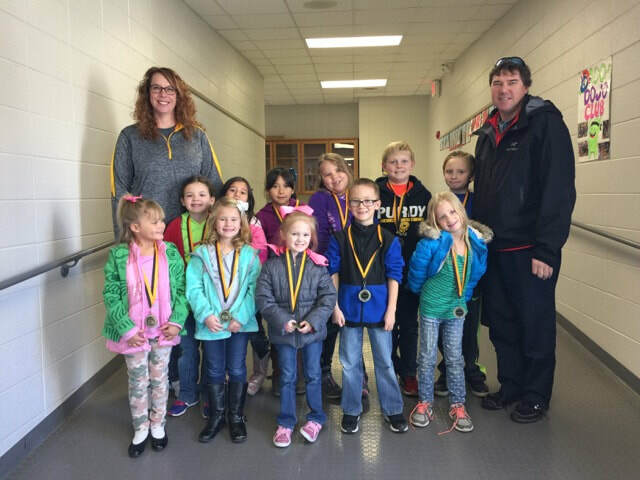 Purdy kindergarten through third grade generosity medalists are pictured above, from left to right. Front row: Lilly Franklin; Kinley Schlessman; Makenzie Horn; Dalton Stanford; and Caidence Barber-Spruce. 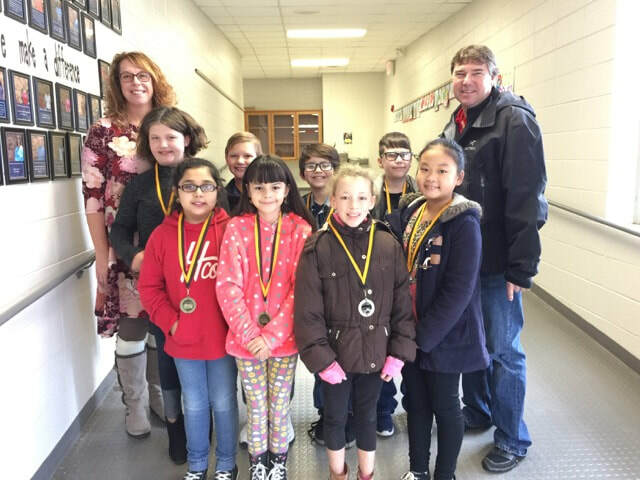 Back row: Mrs. Julie Dalton, principal; Addison Arivett; Kamilla Rodriguez; Brianna Garcia; Logan; Hunter Wormington; Logan Reed; and Mr. Gary Jurgensen, counselor. Purdy fourth through sixth grade generosity medalists are pictured above, from left to right. Front row: Jaraldie Rodriguez; Jasmin Salas; Shayla Whittington; and Lucy Lee. Back row: Mrs. Julie Dalton, K-6 principal; Isabella Chapman; Samuel Fritz; Trevor Schronk; Austin Greenway; and Mr. Gary Jurgensen, counselor.